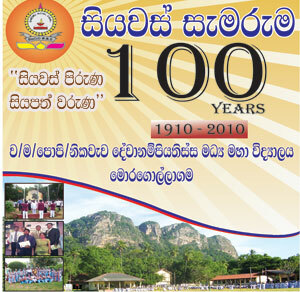 A series of functions has been organized by the school development society, Old pupils’ association and present school generation from 23rd of September 2010 to 4 th of October 2010 in the school premises in order to celebrate the fulfillment of 100 years for the school by this year. The presence of Hon; Minister of Education, Deputy minister of education, the chief minister of North Western Province and the gathering. Opening of newly built shrine room donated by Ven; Nayaka Thero of Nagala Raja Maha Viharaya. Donating Computer accessories to evillage programme by Hon; Deputy minister Salinda Disanayaka. Laying foundation stone for new building. Lottery draw and musical show. We cordially invite you to participate for the ceremony. 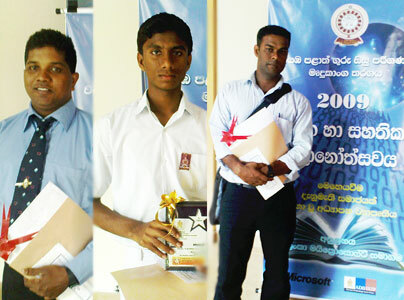 In the 2009 Provincial Innovative teachers software competition our school won three places. D.M. Kasun Disanayake get 1st place for art catogery. Kasun is a very tallentful member of our evillage. 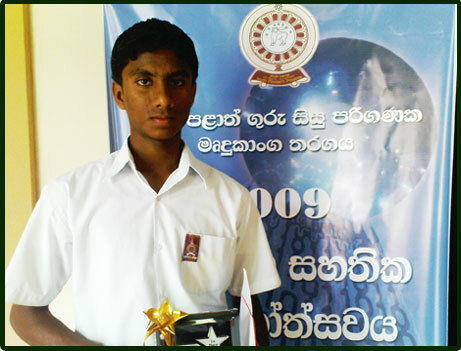 Further Mr. Kithsiri Abeysinghe won second place for grade 12-13 catagory. But he was the previous all island winner. In this time he presented a web site for advance level It students. you can see it from our school web site. www.nikawewa.sch.lk and other winner is mr. Lansakara who computer centre manager of the school. He got 9th place for his software. We wish to these heros for bright future. A rural student won the first place…..
Mr. Prabhath Nadeera Rajapaksha who Most valuble charactor of wayambalanka IT academy was select to IT unit in Sri Lankan Army. We are very happy why he was appeared from rural part of the country. This is a deep problem to our academy but we wish to him for a best future. 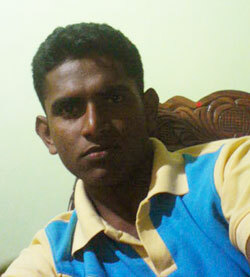 Nadeera is a tallented man in allround. He was the head frefect of Nikawewa school in year 2007. And also was a A/L science student. After he join to the evillage programe he improved his It skills rapidly. 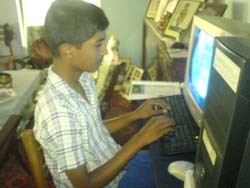 A.M. Tharaka Prabhath Aththanayaka who one of smart student in wayambalanka baught a computer for his studies. According to the evillage project we hope to improve computers usage in this area. But some of the tallent students can’t buy a computer. Reason is the poverty. So we have to find kindful donors for help them. Mr. nimal Thisera is like that. He was a Sri Lankan who has resided in Canada. He visit Tharaka’s web blog and confronted to help him. Then he deposited Rs.5000.00 in Tharakas X-set account (Sampath Bank )Account no – 100642111432. This was a big opportunity. He baught a used computer (pentium-iii,1ghz,256RAM )for Rs.16000.00. Specialy we appreciate Mr. Wanninayaka who consulter in this project. Because he was the mediator. Tharaka thanks to Mr. Thisera & Wanninayaka for this courtesy. 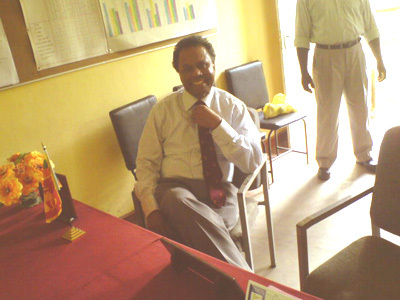 On 23rd of May Mr. J. Bandaralage who senior lecturer in Griffith University in Australia was come to our school. In this school he was a bright student in the 1978-80 season. Mr. S.B. Dissanayaka who current principal of the school is his younger brother. Mr. J. Bandaralage live in Australia with his family. He is a one of best Economic lecturer of Griffith university. And he adduced his old experiances to the students. Then he informed to school students “if you can email me, I can help you” Wayamblanka students already communicating with him. 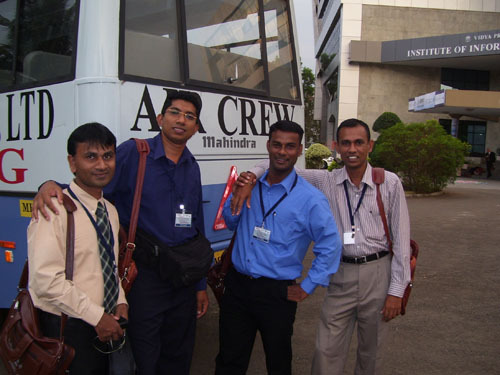 Five pilot evilage managers and founder (evillage team in Sri Lanka) are participating nine day educational tour in India untill from 23rd to 26th of March . 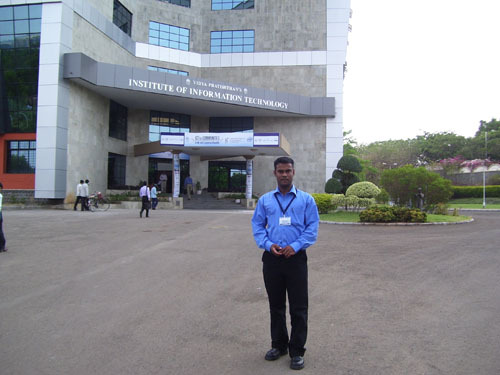 Firstly they participate to eighth annul Bharamathi initiative on ICT and development conference in VIIT. Then they will go to visit some rural places in Chennai. In the first 3 days they visited some different places in Pune & Bharamathi.